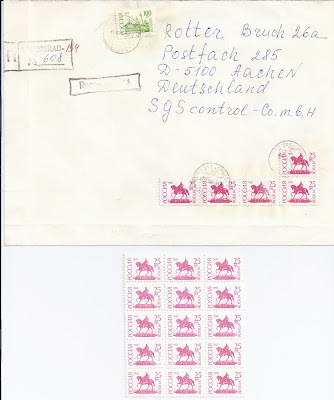 The 25 rouble stamp above is a Postal Forgery, made to defraud the post office. 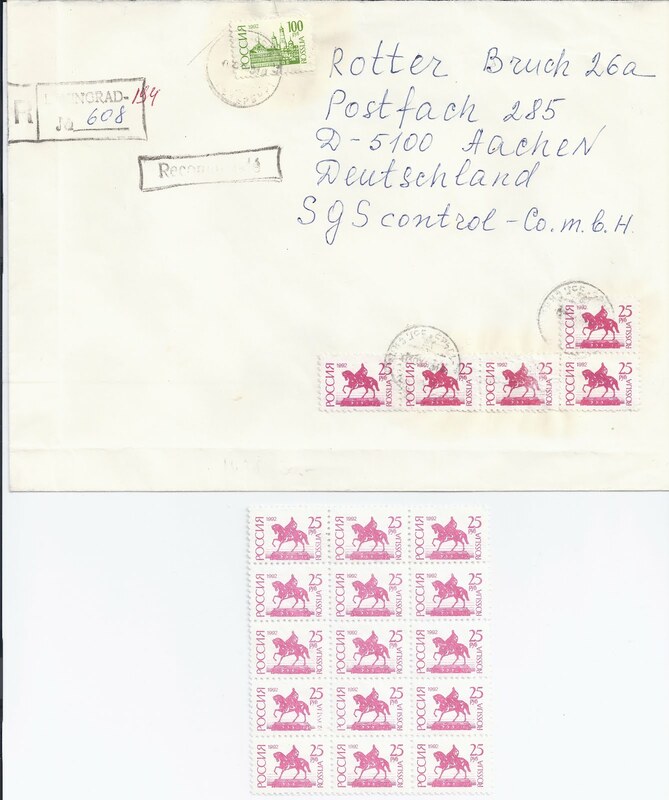 It was quite widely distributed and used on commercial mail in the 1990s and is listed in Michel as 239FFa. The stamp is gummed, but the perforation is wrong (11 instead of 12.25 x 12) and the colour is wrong. The design is poorly defined but the overall appearance is good enough for it to pass, even at the post office counter on a registered letter. This one was sent from St Petersburg in 1993, but I cannot work out the exact date. It's the kind of thing which can make even modern, boring office mail very interesting to the postal historian.